When searching for a dumpster on the south side of Indianapolis in the Greenwood area give your friends at Bin There Dump That a call. It’s only fitting that your friends at Bin There Dump That deliver their clean and GREEN dumpsters to the fine folks of Greenwood! Not only do we help out commercial customers and contractors in the Greenwood, Indiana area with their dumpster needs we are also more than happy to help out Greenwood home owners with any projects they might have to get rid of their construction waste and other junk related items. Whether it’s a kitchen remodel, replacing a roof or a large garage clean out Greenwood, Indiana residents are covered with our fast and friendly dumpster service! In addition to serving the Greenwood community other residents of Johnson County are also covered in our service area. So if you live in Franklin, Whiteland, New Whiteland or Bargersville Indiana you too are covered in the Bin There Dump That – Indianapolis footprint! Any of our convenient dumpster sizes are available ranging from our 4-yard dumpster up to our popular 20-yard dumpster! Next time your in Greenwood, perhaps visiting the Greenwood Park Mall you just may see one of our clean and green bins! 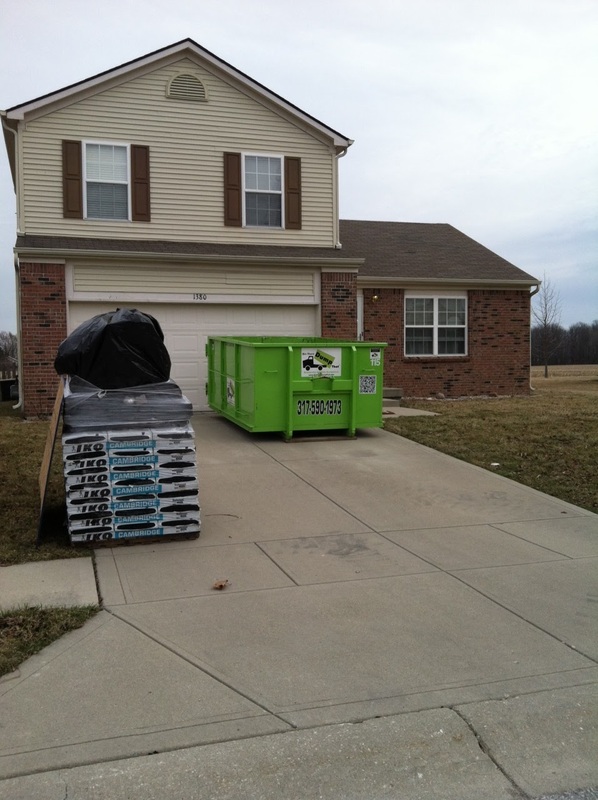 Feel free to give us a call at 317-5901-1973 and we will be more than happy to help you out with one of our residential and commercial friendly dumpsters! It has become an annual tradition for Bin There Dump That Indianapolis to help their friends at the Make-a-Wish Foundation for their Walk for Wishes event with a donation of one of our clean and green dumpsters! The fun and exciting event is held every July at the Fort Harrison State Park on the northeast side of Indianapolis and hosts thousands of families from through out the greater Indianapolis area! This years walk was extra special as it was the 10th Annual Indianapolis Walk for Wishes and raised over $130,000 for the noble cause! 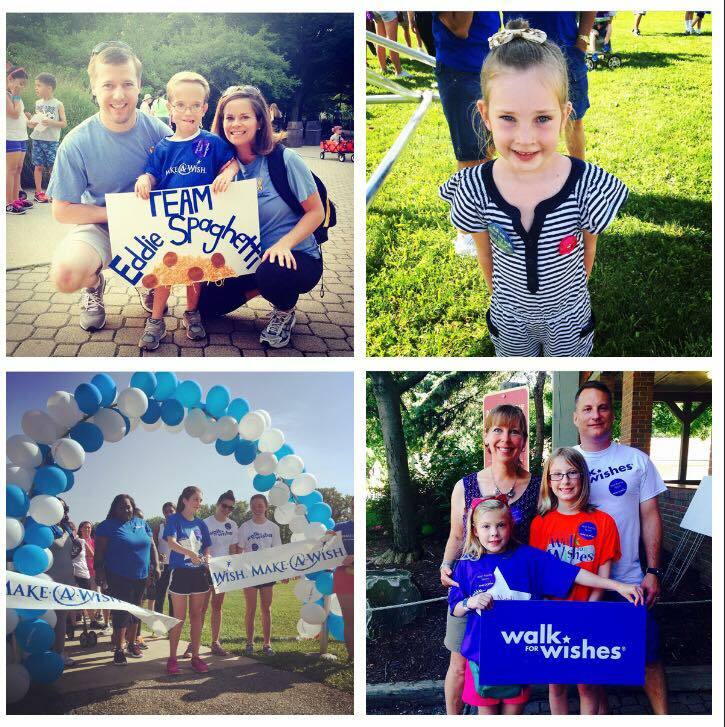 As stated on the Indiana website for the Make-A-Wish foundation, the Walk for Wishes is a family-friendly, community walk that raises funds to grant the wishes of children battling life-threatening medical conditions. While the event this year has passed it’s never too early to start planning for the 2016 Walk for Wishes in Indianapolis. To learn about starting a team check out their website at http://oki.wish.org/ways-to-help/fundraising/walk-for-wishes or please contact Amanda Pierce at (877) 206-9474 or amandap@makeawishindiana.org. Thanks once again to all the fine folks through out the greater Indianapolis area for their support of the Walk for Wishes and allowing Bin There Dump That Indianapolis to provide one of our clean and green dumpsters! Our residential and commercial friendly dumpsters come in 4 convenient sizes to meet your specific junk removal needs in the greater Indianapolis area. Whether it’s a small landscaping project or a large demolition job we have the perfect size dumpster to meet your rubbish removal needs. Our dumpster sizes start as small as a 4-yard bin. This convenient size allows us to place it in the tightest of places and is great for concrete, dirt, gravel and other small jobs. We see a lot of our greater Indianapolis customers also using this convenient size at the end of their project for left over scrap and misc. debris. Our next size up is our ever popular 10-yard dumpster. One of our more popular sizes the 10-yard bin is great for small remodels such as redoing a bathroom or small kitchen. Our roofing contractors also use this size frequently for roof tear offs less than 32 square. Our medium size dumpster is our 15-yard bin. Not only is this great for contractors doing demolition work but also for homeowners doing garage and basement clean outs. Other uses for the 15-yard dumpster include, fire restoration, flooded basement clean outs, large yard projects and spring cleaning projects! Our largest size dumpster is our 20-yard bin. Popular for very large commercial projects, as well as Estate Clean Outs, large remodels and bulky furniture removal. In addition to our dumpsters being clean and green any of our 4 convenient sizes fit perfectly in a standard parking spot. Don’t worry about tight quarters as we can place our bins through alleys, in tight corridors and in the smallest of spaces. Unsure of what size will work best for your particular need? Give us a call and we will be more than happy to discuss the different sizes with you and pick the perfect size dumpster to meet your specific needs. We can be reached Monday through Saturday from 7am to 5pm by calling 317-590-1973. When it comes to our customers you can have your bin placed wherever you like, including placing it inside your garage or building. How cool is that! Whether it’s a residential remodel or a commercial project we can and will be more than happy to place your dumpster rental inside a garage or building. Check out the picture on this page, which shows our 20-yard bin placed inside a garage for one of our valued Indianapolis residential customers. Our Clean and Green 20-Yard Dumpster! In the rare exception where some homeowners associations don’t allow dumpsters in the neighborhood placing a bin inside is the perfect alternative! A couple of items to keep in mind when wanting a dumpster placed indoors. What is the overall height of your garage door, this will help us determine the size bin we can safely place inside. The depth of your garage is also important to ensure the size bin we can deliver. Ask yourself another question, do you need clearance to walk around the bin, if so how much? Unlike when we place a dumpster on your driveway you will need to be home at the time of delivery and pick up when placing a bin inside a garage or building. When ordering the bin we will be more than happy to get you an exact time for delivery and our always courteous and professional drivers will also be more than happy to call when they are in route! Next time your in need of a dumpster in the greater Indianapolis area give us a call at 317-590-1973, we will be more than happy to arrange for a clean and green dumpster to be delivered to your home or commercial job site! For the second consecutive year Bin There Dump That – Indianapolis has earned the service industry’s coveted Angie’s List Super Service Award, reflecting an exemplary year of service provided to Angie’s List members in the greater Indianapolis area. We are certainly proud of the Angie’s List Super Service award but even more proud to just receive our 100th A Rating from valued Angie’s List customers across the greater Indianapolis area! “We take great pride in going the extra mile for our valued Angie's List customers whether they are residential homeowners or commercial contractors. Whether it’s our Driveway Protection Guarantee, our same day service or delivering our always clean and green dumpsters Angie’s List customers find great value in our service,” states owner James Spink. in Carmel with a 10-yard dumpster! Not an Angie’s List member or thinking about joining, follow the link below to learn more about their membership and the benefits that come along with it!